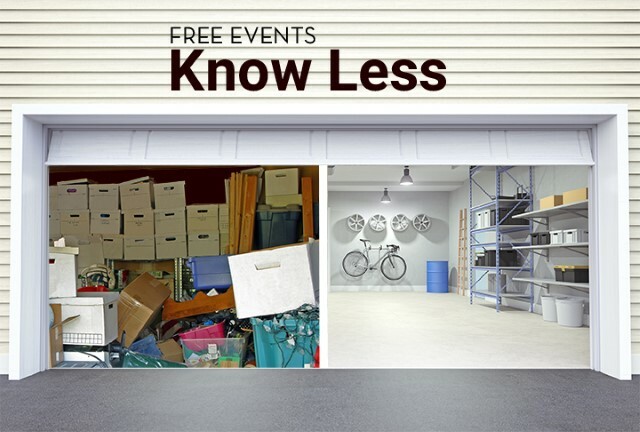 Know Less Waste explores how the stuff we buy, use and get rid of everyday, is impacting our world. From furniture to food, our purchasing decisions and behaviors are where we have the most impact, both positively and negatively. We all know the 3 R's: Reduce Reuse and Recycle, but while most people focus on the 3rd R, - Recycling - it's Reduce that is the most important. Join staff from The Environmental Center's Rethink Waste Project to learn more about why stuff matters, globally and here in Deschutes County, and leave with hands on tips to do something about it. Denise Rowcroft and Ani Kasch are Sustainability Educators with The Environmental Center, a local non-profit organization working to embed sustainability into daily life in Central Oregon. Denise has managed their Rethink Waste Project and Learning Garden since 2011, and enjoys creatively repurposing leftover and found materials. Ani has been coordinating our LED lightbulb installations since 2016 and this past spring kicked off our community Rethink Food Waste Challenge. She is an avid bike commuter and loves cooking meals only with things found in her kitchen.